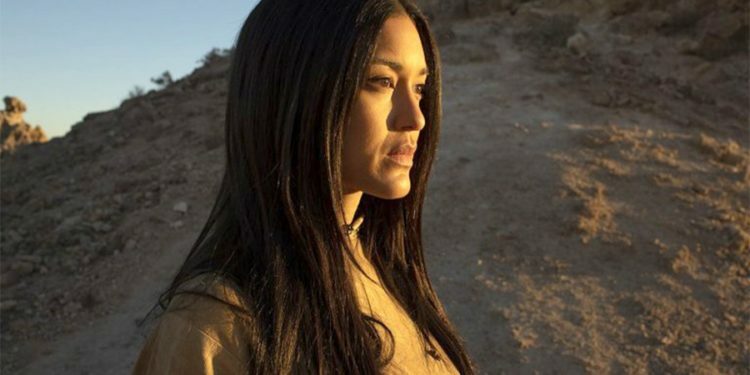 The Evolution of Julia Jones from "ER" to "Westworld"
There’s no big secret why Julia Jones has been given the role of Native American characters in so many of her on screen appearances. It’s because she is of Choctaw and Chickasaw descent, though she is also African American as well. This has helped in landing her roles in many productions from ER to the acclaimed HBO series Westworld, but it hasn’t been the only reason she’s been so fortunate. Jones also studied ballet from the age of 4 and began working in commercials and theater productions by the time she was 8. After attending Columbia University and graduating with a degree in English she went on to modeling and then appeared in a music video for Chuck Wick. Following that she went on appear in several independent films before being cast as Dr. Montoya on ER for the final two seasons. In 2010 she was cast in the very maligned film Jonah Hex, and she even made her way onto the last three movies of the Twilight saga. Since then she’s been a prominent presence within Hollywood, but like many actors she’s had to take on a few roles in movies that might have been better of on the cutting room floor. Here’s the evolution of her career using film clips. As one of the werewolves in this saga Leah Clearwood didn’t care for Bella at all and she really didn’t like the Cullens. She felt that they were the reason that bad things happened in their region and were, treaty or no treaty, the enemy until proven otherwise. Leah was the hard-nosed type of individual that didn’t forgive and obviously didn’t forget. As a part of of this series however she was not exactly a protagonist but she wasn’t an antagonist either. She cared so deeply for Jacob that watching him suffer when Bella was trying to decide who she wanted was enough to anger her on a continual basis and leave her unable to act in any other way around Bella. Some folks might argue about this but quite honestly this seems like a movie that should never have been made. It has a long list of famous actors that make it a little more enjoyable but for the most part it’s a stab at a few different cultures that was less than well-received. Adam Sandler has been up and down in his career for the last decade or so and has been trying to mount a comeback of sorts, but this wasn’t the best attempt at doing that really, especially since he cast himself as one of the tribe. Obviously he wasn’t a Native American and wasn’t trying to pass himself of as such since he was a child from two different worlds. But the whole idea just struck a very discordant note with a lot of people. Julia’s character of Smoking Fox seemed to irritate a lot of people both Native American and otherwise since this was a huge parody on the Old West and everything about it. Of course if you look at history and see how many other filmmakers decided to take these kind of aspects and incorporate them into their movies you might find it necessary to lighten up on the whole thing. Ever heard of Mel Brooks? Westworld has really become a scene in which the characters that would normally act out the narrative set forth by their creator are starting to realize that the world they live in is seriously flawed. Their programming is going off the rails, their perception of the world they live in is broadening, and for the most part they’re simply starting to ‘wake up’ to the fact that the world around them just isn’t right. That’s the problem with a system in which one side knows what’s going on and the other doesn’t, once the side that doesn’t begins to realize what has been happening to them there’s a good chance that they won’t like it and will begin to rebel. It’s almost like watching a child come into the understanding that the world they thought they knew is something else entirely, and as they grow more and more aware of this their reactions begin to change, as do their behaviors. In terms of her characters Julia’s career has evolved very slowly as she continually gets cast into the role of the Native American. While she is Native American it would still be nice to see her cast into a role that might take her away from any and all stereotypes for a while just to see how it would pan out. It’s happened already in her career but it would be nice to see more of it just to see her grow even more as an actor. To date however whatever role she’s taken on has been enhanced by her presence and her skill, so to be honest it seems as though she’s been happy with where she’s been placed.